Leading Manufacturer of pillar mounted jib crane, self supporting jib crane and heavy duty jib cranes from Ghaziabad. We are highly instrumental in the process of manufacturing and supplying a wide range of best quality cranes and in this range we are offering Jib Cranes. The range has been names so due to its usages in various industrial purposes. Clients are availed this range as per their needs in customized versions at the most comprehensive and market leading prices. 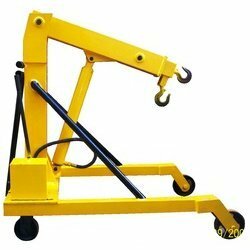 We manufacture an extensive range of Self Supported Jib Crane which is made using quality components with the help of latest technology. Our range consists of a rotating boom to the mast and the ceiling mounting. These rotating booms are held in a vertical position on the floor with a ceiling mounting by wall bracket mounting. We are engaged in manufacturing a wise range of Heavy Duty Jib Cranes. These cranes are compact yet robust. Due to compact size and excellent design, they utilize only a part of the workshop area. 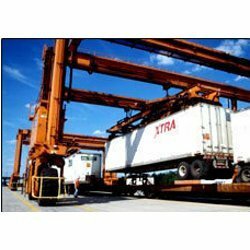 They help to reduce labor cost by avoiding the time lost on unnecessary waiting for an overhead crane. 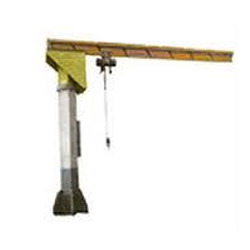 These cranes can be used for material and machinery loading, small assembly jobs, localized fitting etc.